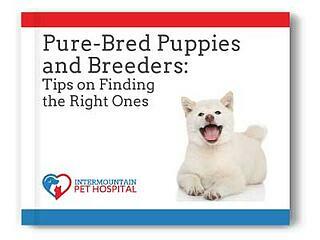 Look to get a Purebred Puppy? Bringing a new puppy into your family is an exciting event! It's also an event that should not be taken lightly. What kind of breed are you considering getting? and why? Do you know what health issues are most common with the breed you are looking for? Will you be purchasing your puppy from a breeder or rescue shelter? If you are getting a puppy from a breeder, do you know what questions to ask? We have written an ebook to help you go through the puppy adoption process so you can make the best decision for you, your family, and especially for your new furry family member.